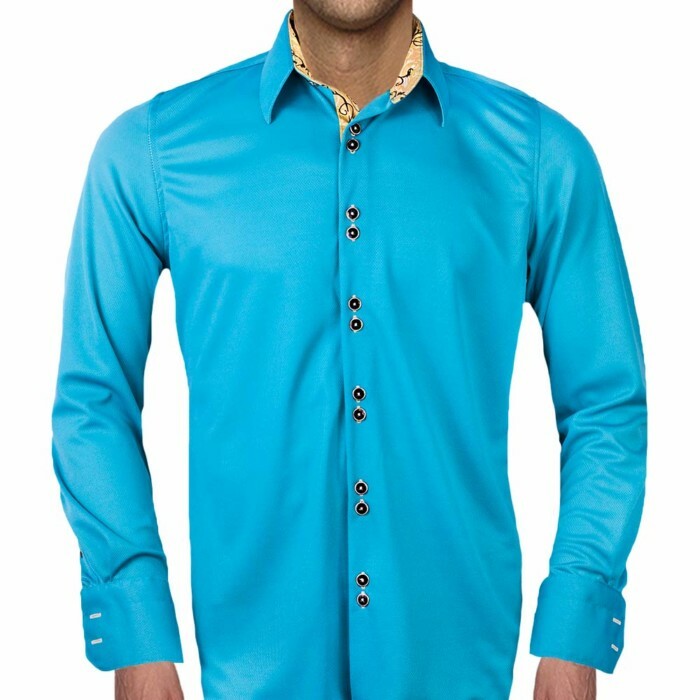 Anton Alexander Teal and Tan Dress Shirts are designed and made in the USA with great pride. 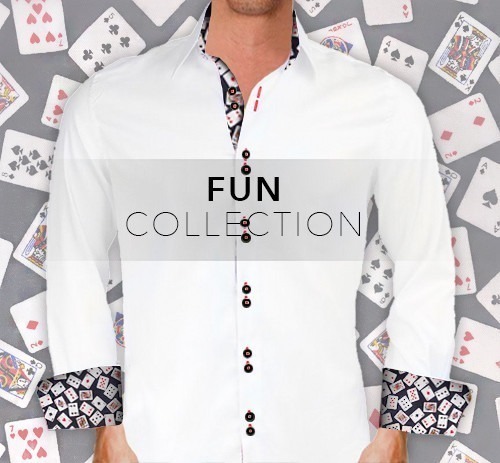 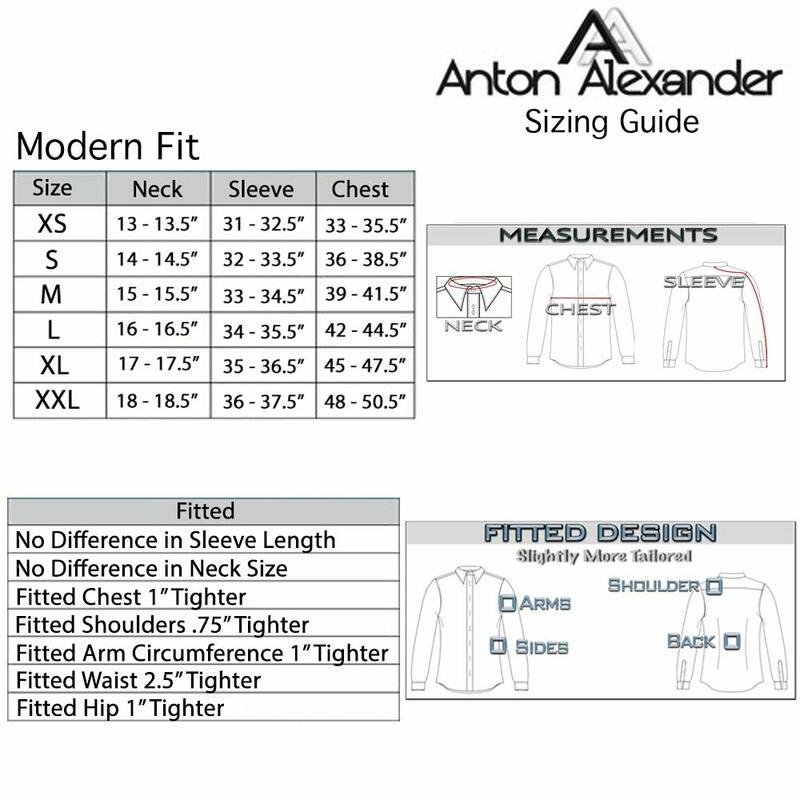 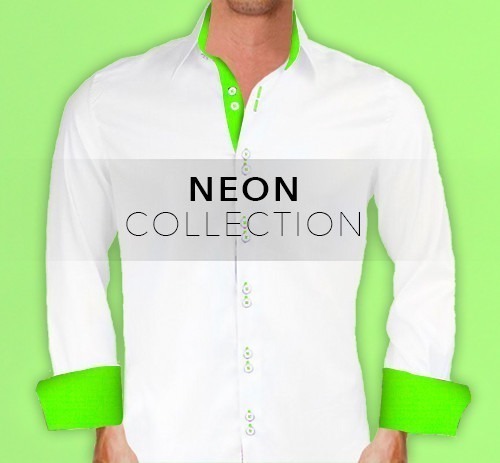 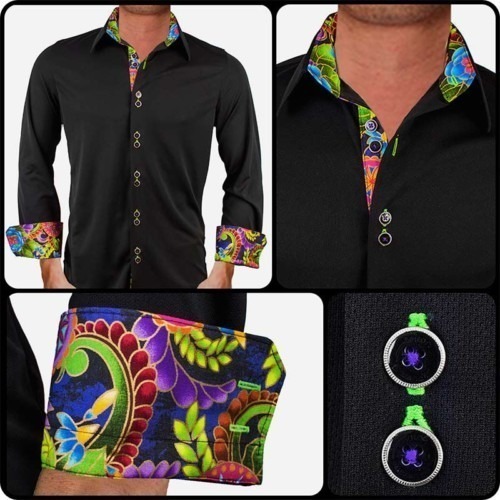 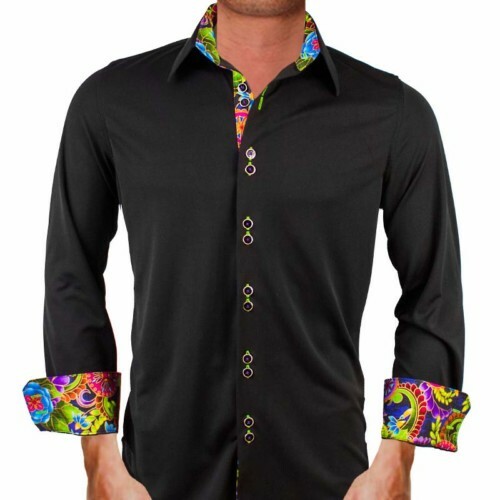 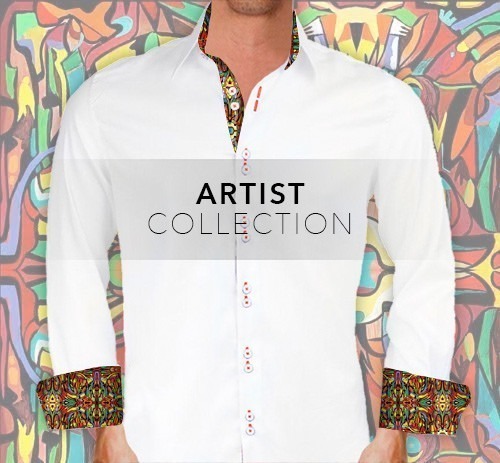 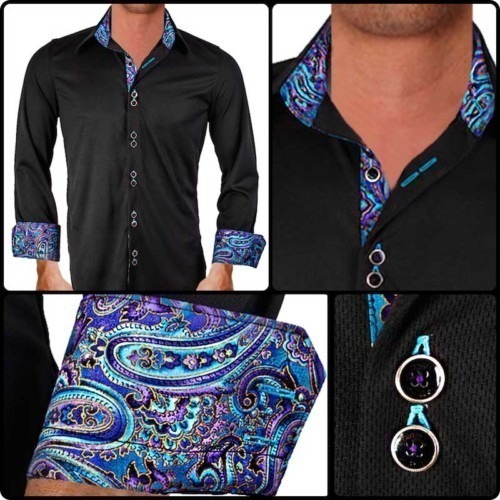 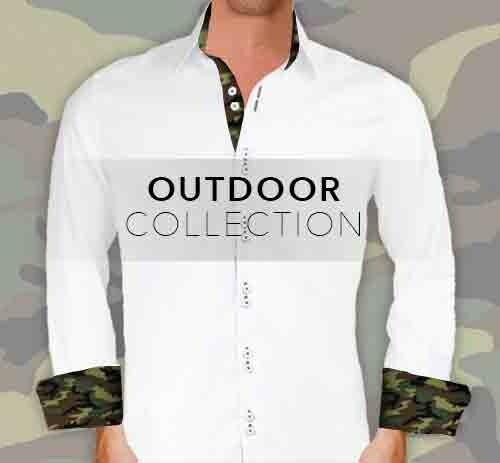 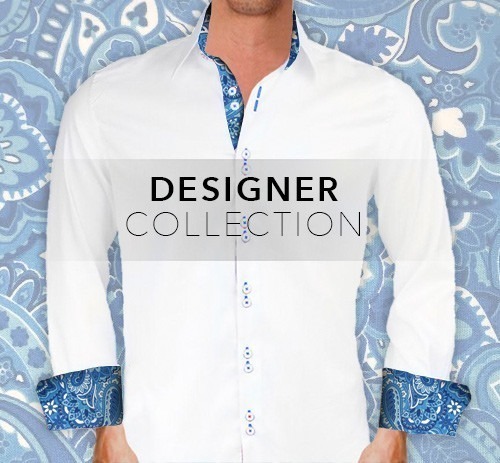 Anton Alexander shirts are available in two different types, slim fit, and modern fit. 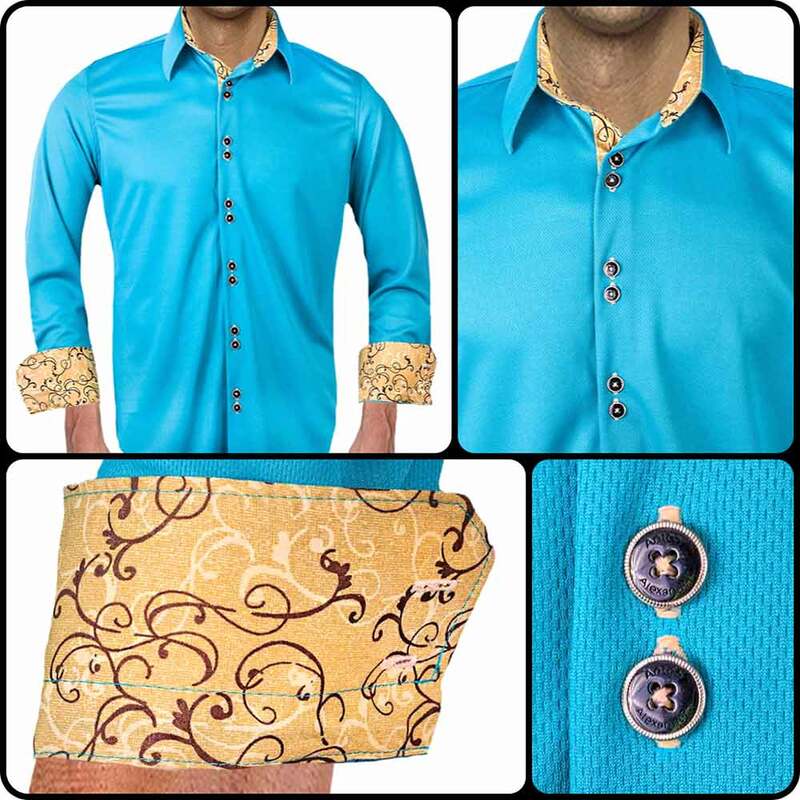 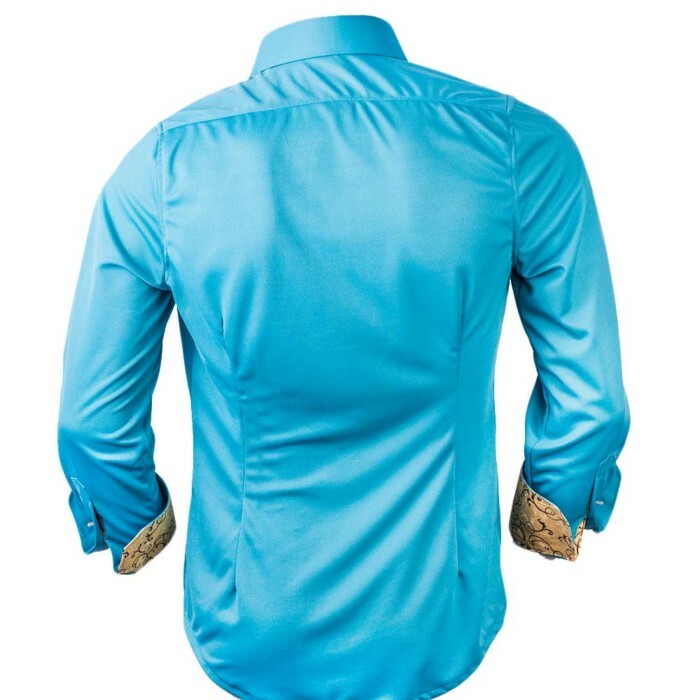 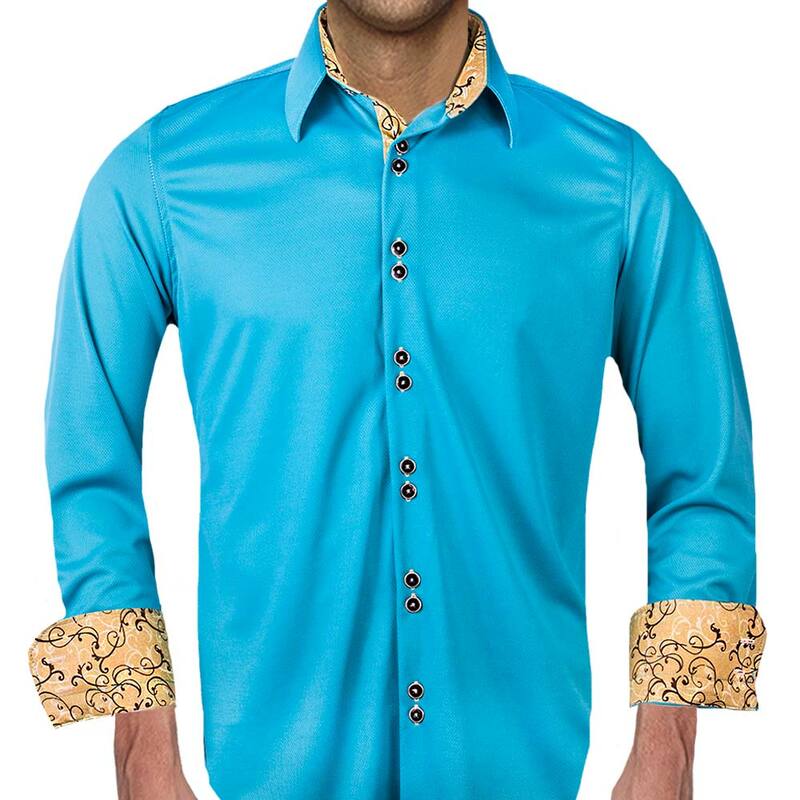 These Teal and Tan Dress Shirts are made with teal moisture wicking fabric with tan swirl accent fabric. 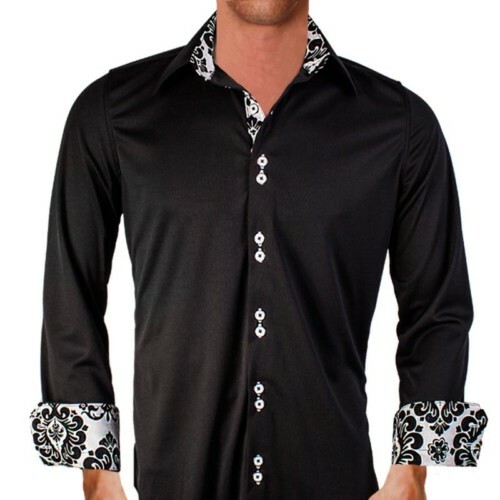 The fabric is ultra light, easy care, and wrinkle-free. 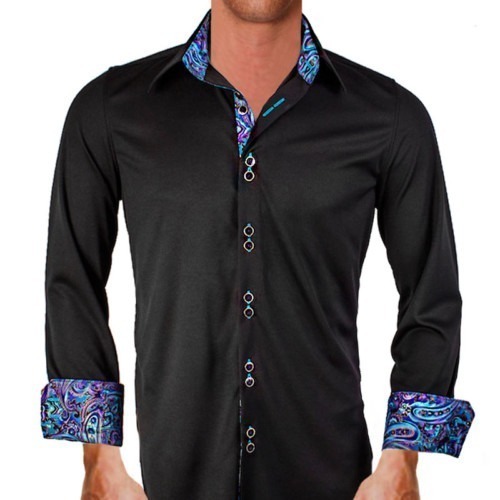 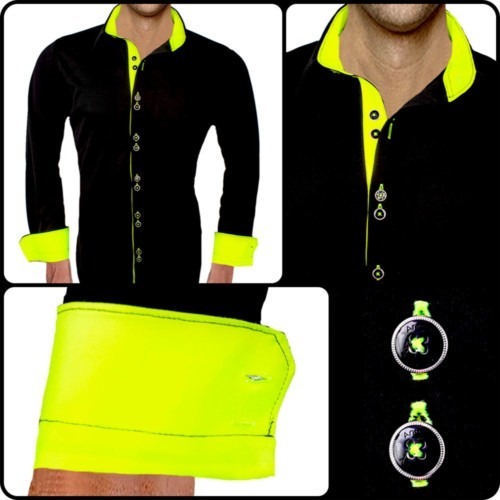 This new innovative fabric technology gives you many great benefits. 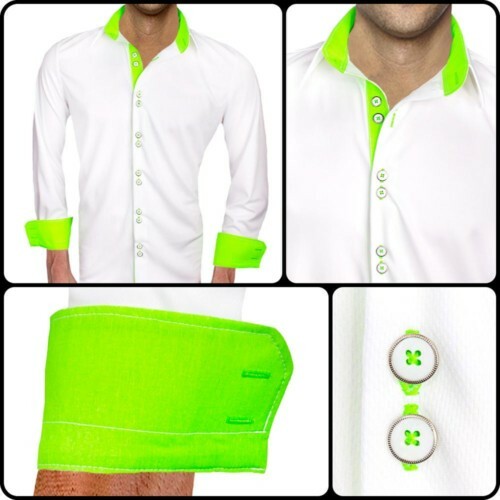 Not only is it breathable for hot days, but it also has moisture wicking technology. 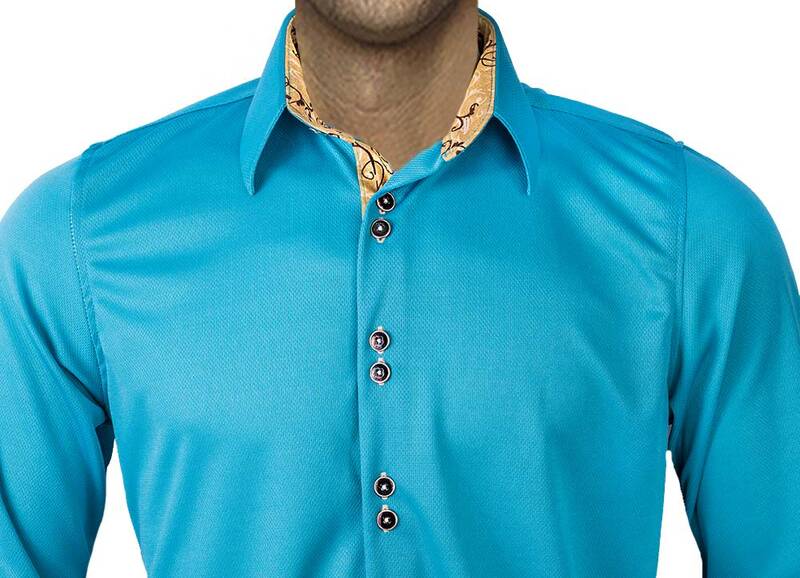 This eliminates the concept of sweaty armpits. The unique fabric blend is also wrinkle-free and super easy care. The entire shirt weighs less than 9oz. 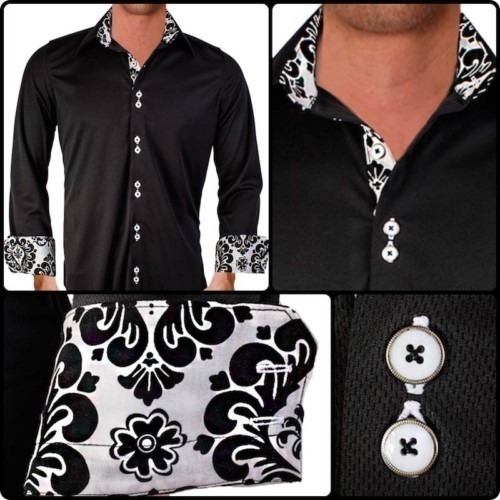 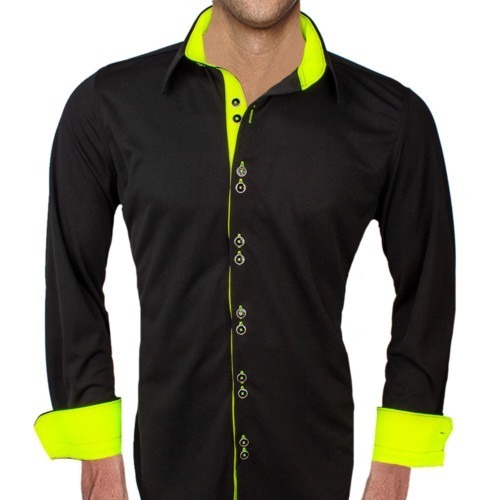 The design has contrast stitching over contrast fabrics and buttonholes. 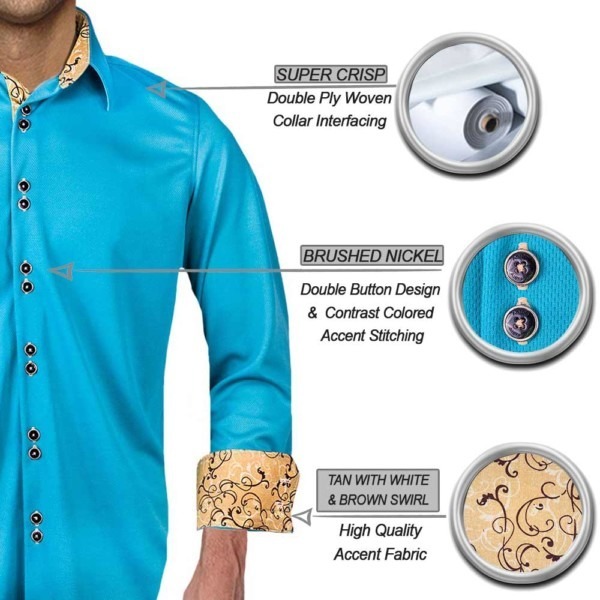 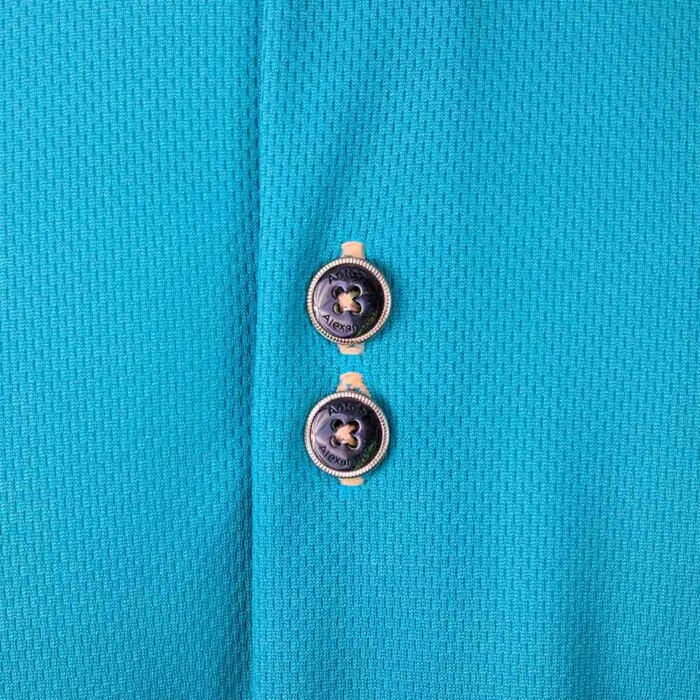 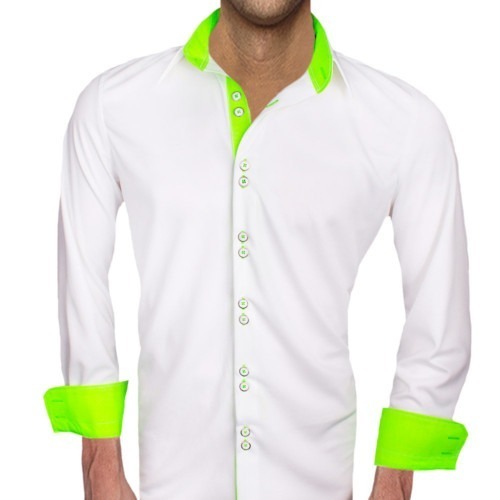 Every shirt has a unique brushed nickel ring double button design with double purl stitched buttonholes. Teal moisture-wicking main shirting fabric. 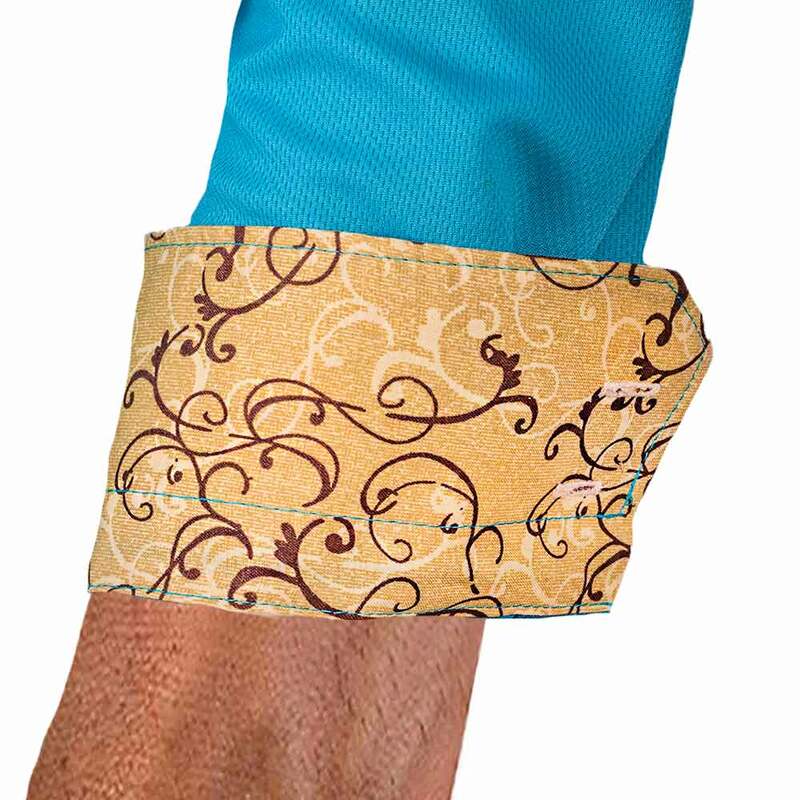 Tan swirl accent contrast fabric.